Should we demand report cards on local government? Local governments, we’re told, are close to the people and accountable to the taxpayer. Compared to what, exactly? Of the 27 municipal governments in Fraseropolis, which ones do best for their citizens at earning public support for their programs, designing livable neighbourhoods, or investing for infrastructure replacement? Which ones do least? In the United States, a consortium of organizations is developing a “sustainability index” that will allow communities to “benchmark their performance over time, or compare their results to those of other communities.” It has taken two years of public process to develop the components of the Star Community Index; they include measures related to green infrastructure and green transportation as well as educational opportunity, housing afforability and arts and culture. 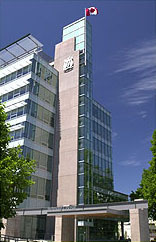 Local governments will enter this program voluntarily; a pilot run, with ten jursidictions on board including King County (Seattle), is to begin in autumn 2012. In British Columbia, we have various ways of comparing communities and public institutions with each other, but always with a narrow focus. 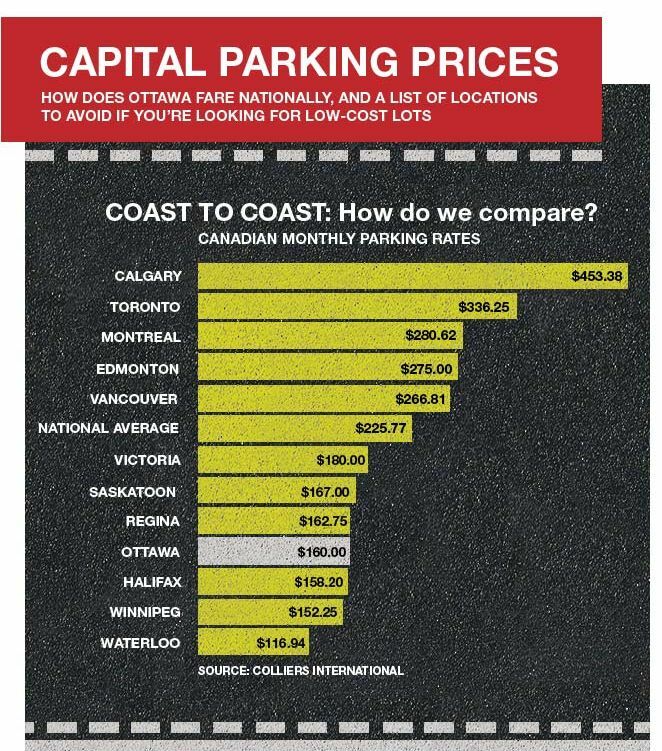 We can compare such things as parking costs, as in the graphic here, or home prices, courtesy Royal LePage. Statistics Canada publishes an annual crime index, and Maclean’s magazine upgrades this product by correcting for population; for 2010, the magazine found that 10 of Canada’s 20 “most dangerous” cities in 2010 were in B.C. (In order: Prince George, Victoria, Kelowna, Surrey, Nanaimo, Chilliwack, New Westminster, Kamloops, Vancouver, Langley Township). If we’re considering a university education, Maclean’s publishes an annual ranking based on half a dozen indexes (most of the details are available only in their print edition.) The relentlessly right-wing Fraser Institute publishes an annual report card on B.C. high schools, as well as a report (on a province by province basis) on health care system wait times. However, I can find no broad comparative survey of local governments or community livability. Smart Growth BC (now defunct) issued a sprawl report in 2004, comparing livability in 25 B.C. communities, but the report has not been updated. The Government of B.C. publishes province-wide numbers on local tax rates, revenues and spending; this is useful, but it doesn’t enlighten us on whether the spending is achieving results. In 2011 the B.C. government announced plans to create a Municipal Auditor General function. A bill is to be debated in the Legislature within the next few weeks. Audits will be conducted at the invitation of local governments. They are intended “to help local governments find efficiencies in spending and improve program effectiveness by providing neutral, non-binding advice.” There’s no sign, thought, that this office will engage in community-to-community comparisons. Should we push for the Municipal A-G to issue systematic report cards? Is this an appropriate function for the provincial government? B.C.’s main opposition party took a hostile position toward the creation of the Municipal A-G office. New Democrat leader Adrian Dix rested his case (as I understood it) on two claims: first, that local governments are already accountable and transparent, and no further scrutiny is required; and second, that local governments are small relative to the provincial government, so their spending mistakes are insignificant. This contradicts the work of the NDP-affiliated Canadian Union of Public Employees, which has long denounced allegedly secret dealings between local governments and private partners. In a case from my own back yard, CUPE issued a report in 2001 called “Secret and Illegal” about a municipal-private sector partnership in Maple Ridge. The partnership later collapsed, and local government was borrowed $49 million, more than $1,000 per local household, to buy out the private partner. My interest in the standardized, public evaluation of local government is partly related to the US experiment. And I puzzle over comparative tax tables (November 10, 2011) showing that most local governments in Fraseropolis, regardless of size, location or success with commerce and industry, gravitate towards a middle point in taxing homeowners. Of course, not all evaluations are created equal. CUPE will oppose all public-private partnerships. The Fraser Institute, at the other extreme, is working to downsize government, and its rankings of schools and health care are dismissed as propaganda by critics. If local governments want to avoid getting smeared by unfriendly interests, they may want to take part in developing a fair and comprehensive rating system. The new sustainability index in the US is the work of the ICLEI-USA, whose members include 600 local governments and the United States Council of Mayors, and the National League of Cities, with 1600 local government members. Thanks, Jackie, and welcome to fraseropolis.com. I’m embarassed to have overlooked the SmartGrowth BC 2009 Sprawl Report. On investigation, however, the report is focused entirely on walkability, drawing on evidence from three municipalities – Vancouver and Port Moody in Metro Vancouver, and Invermere, a resort town in southeastern B.C. There are recommendations for improvement of walking networks, but no indices or comparisons. The 2004 report was a very different beast, assigning scores to 24 B.C. municipalities according to three different measures: urban form, livability and economic vitality.